Gather on the shores of Dead Horse Bay to survey a natural phenomenon as a citizen scientist. 7:30 p.m. to 9:15 p.m. 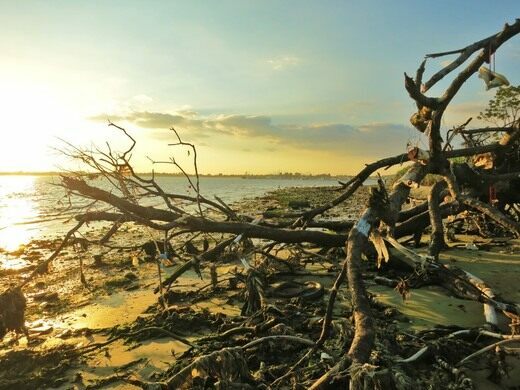 In the evening, among the ancient bottles of Dead Horse Bay, dozens of horseshoe crabs ascend to the shore. 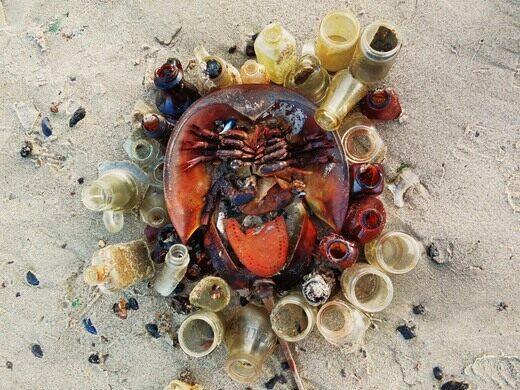 With the species dating back 450 million years, horseshoe crabs are often called "living fossils"; however, their numbers are now increasingly threatened by human harvesting and the biomedical industry. It has become critical for researchers to track horseshoe populations over time, especially to ensure that there are enough to sustain the vulnerable shorebird population that depend on their eggs during migration. 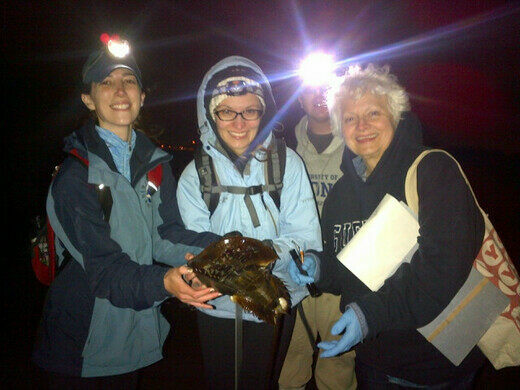 In this special citizen scientist event arranged for Atlas Obscura by the conservationists at New York City Audubon, we're creating a one-time experience to both learn how to survey these unique arthropods as well as count them for conservation efforts as they emerge from the waters during the high tide, under the new moon at Dead Horse Bay. As a registrant in this event, we depend on your attendance and participation to run the survey and compile data! For the sake of science, please only register if you are able to commit to attending the event. Be punctual, or even arrive early to explore Dead Horse Bay. The training session begins at 7:30 p.m. sharp, and participants are asked to stay for the entire survey (until approximately 9:06 p.m.). 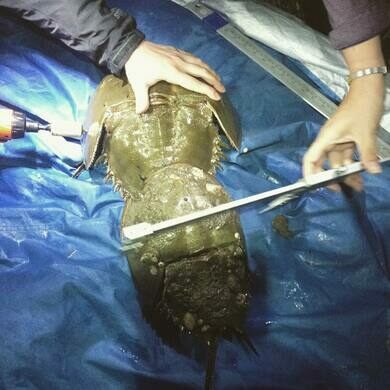 After completing the survey, participants may also have the optional hands-on opportunity to tag horseshoe crabs by drilling holes into their shells. This, unfortunately, cannot be guaranteed as it is dependent upon the habits of wild animals. As they are wild animals with unpredictable behavior, there is no guarantee that we will see horseshoe crabs during this event. That said, the odds are very very good. There are no restroom facilities on site. Children must be 10 years or older, and any children under the age of 18 must be accompanied by a parent or legal guardian. A liability waiver is required for this event. The event takes place at Dead Horse Bay at Gateway Marina, 3260 Flatbush Ave, Brooklyn, NY 11234. Directions to Gateway Marina and additional instructions will be emailed to participants the week of the event. A portion of the proceeds from ticket sales will be donated to New York City Audubon. Wear closed-toed shoes as there is glass on the beach of Dead Horse Bay. Be prepared to walk—the survey will involve walking for approximately 1 mile on the beach. Plan to wear layers and shoes/clothes you don't mind getting wet. A headlamp/flashlight is encouraged, as is bug spray. The event will take place rain or shine, please dress appropriately for the weather and for walking ~1 mile on uneven terrain. A headlamp is encouraged.